It’s a good idea to post on a regular basis and even schedule your posts so they go up at the same time each day or each week. This will inspire loyalty amoung your readers because they will get used to seeing your posts and even look forward to them. Another plus to this is that Google will start to recognize that you post at a certain time and you will get indexed faster if you post regularly. I’d say you’d be doing yourself a favor by being brief, but keeping to a minimum word count of around 250 would be a good target as well. That’s enough for you to get your point across but not so much that it’ll only get skimmed. Try and think about your keywords and imbed them into your content. This is just good communication skill as well as good SEO – you want your posts to come up high on Google if someone searches for what you are talking about. It’s a good idea to promote your blog via facebook, twitter, social bookmarking sites etc etc. Don’t spam people, but it’s perfectly reasonable to post in your status on facebook every once in a while that you have a new blog post and provide a link. I’ll talk more about promotion and building an audience in a future post, but that should give you something to think about for a few days. Thanks for reading! The first thing I do after installing the latest version of wordpress is add a new user with my own naming convention and password. I usually leave the admin account even though it is default because some of the blogs I set up will have more than one user and I like the idea of having a universal admin. If there are going to be other users I set up accounts and passwords for them right away if I know who they are. You can add more later as well. Now all my blogs are self hosted (using dreamhost) and wordpress is installed with one click, but I also setup a new database with a new user on my host for each one. Then I setup email addresses that I want associated with the account. The next thing I do is delete the default category of “uncategorized” and the links category of “blogroll” from the Writing Settings. In order to delete these in both cases you have to make a new category and set that as the default – then you can delete the old ones. I do this because I don’t want any post to be “uncategorized” and I don’t like the way “blogroll” sounds. Plus I think “links” is clearer. Then I go through each of the settings panels and adjust things to my liking. Most of this information is pretty clear and easy to understand in wordpress, but if you don’t know what something means or why you would want to change it I’d suggest doing a little research before making the change. Generally the defaults are fine, but some things I just prefer to have set up differently. One example of something I change is the Permalinks – these determine what the url will be for your posts. You’ll want to make a decision about how you want these displayed and stick with it. I personally like to have the date and the post title in the permalinks but it is up to you. Next I set the theme. There are a few installed automatically, but I have found a ton online and you can generally find a theme that will serve whatever your needs are. You can change your theme at any time, but you’ll need to be careful and make sure it supports the things you need like having enough sidebars or widget support. I also like having access to the image files and CSS so I can adjust the theme to the look of the brand the blog is for. 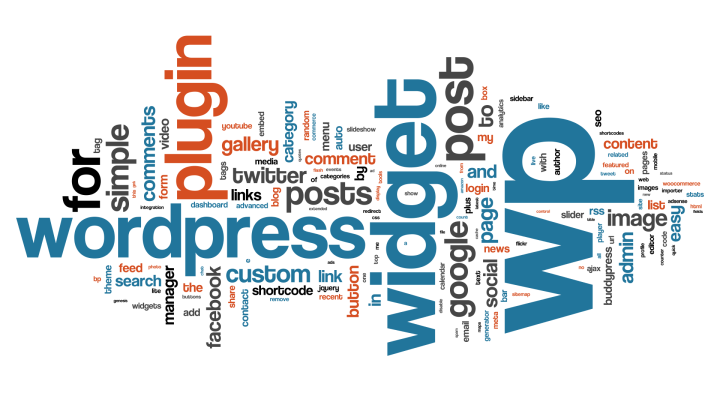 Next I install the plugins I like to use and are relevant to the blog. There are also a million plugins online that you can sort through and there is generally a plugin that will do whatever it is you need to do. If you don’t know what you need just start blogging and you’ll find your needs popping up in the form of thoughts like “Boy I sure wish my blog could…” – the answer is probably yes it can…so off to the internet to track down the right plugin. In a future post I will go through a few of the Plugins I’ve found that I like and find useful which might help you with a starting point. Once the plugins are installed then it is time to adjust their settings. Now this can start to get confusing because plugins can put their settings in different places, or sometime be unclear as to how to use them once they are installed. Usually there is a web page devoted to the plugin on the creators website and often they are very clear and informative. Sometimes though, they are not. If a plugin has really poor documentation or is really unclear what the settings do I’ll often go look for another plugin that treats it’s users better, and I usually find one. Next I set up my sidebars and widgets, if the theme supports them. This is another thing I try to think through and not really change too much once I’ve set them up because these will become part of the user experience and you want people to be able to find what they are looking for and they won’t be able to if you keep changing them. I only change them when I really find that it will be an improvement for the user. Okay, I hope that is helpful. I’ll post more on the subject soon regarding widgets and plugins. If you have any questions feel free to post a comment. Thanks for reading! I found this article by Jacob Gube today on a Linkedin group I joined called Communication Arts (posted by Will Sherwood) about 12 great tools for deciding on a website domain name. It is a very important step in developing your business or project and it is often one of the most difficult. Every time I try to find a domain name I feel like every pronounceable combination of letters must already be taken! These tools could really help you. You can go to the article and read more about them as well as going to the links and seeing what the developers have to say about them.